The Q&As that were published for consultation in January 2017 were significantly amended as a direct result of industry feedback; in particular, the highly hazardous approach and the continued use of traditional limit calculations such as 1/1000th of a dose were unanimously rejected by industry association stakeholders. This was on the basis that they were not considered adequately scientific, and industry preferred to continue the roll-out of HBEL to all products. This represented a change in expectations from industry bodies in comparison to feedback at the time the HBEL was issued. The EMA working group accepted the industry perspective and amended the Q&As accordingly before publication. As a result, the highly hazardous approach proposed in the draft Q&As should not be used. The Q&As are hopefully self-explanatory. MHRA acknowledge we provided conflicting advice during the development phase and consultation of the Q&As; in hindsight we would have remained silent rather than confusing matters by discussing proposals, however the change of stance by industry was unexpected. What should manufacturers be doing now? Focusing on the current and future period, it is important that those manufacturers who have not developed HBELs (such as PDE) should do so without delay. Whilst some pragmatism will be applied for manufacturers with products that present lesser hazard, those manufacturers with products likely to have lower HBEL (toward the dark orange and red area of the continuum diagram) should complete these assessments without delay (a triage approach may be helpful for prioritisation). 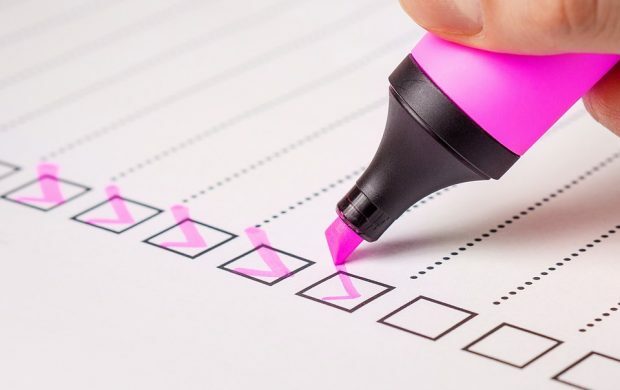 Manufacturers may outsource the HBEL assessments where in-house expertise is not available but, as clarified in Q&A4, usual Chapter 7 requirements should be applied should this route be used. As stated in Q&A3, the next steps after generation of HBEL are to ensure that organisational and technical controls have been developed or assessed via a robust risk management process. As such, the magnitude of the HBEL should be used to consider where contamination at that level, both at batch and unit dose level, could enter a subsequent product should controls not be adequate. It is worth reflecting on what is often seen on inspection of this topic as there seems to be widespread misunderstanding of the application of Quality Risk Management (particularly in relation to cross-contamination control). Too often inspectors see Failure Modes and Effects Analysis (FMEA) style risk assessments used that seem to simply justify current controls – without confirming this is the case by observation of practice. The approach taken all too frequently simply concludes that controls are adequate because a procedure is in place. i) The evaluation of the risk to quality is based on scientific knowledge, experience with the process and ultimately links to the protection of the patient. to consider how and where this quantity of contamination could be transferred to a batch (by taking account of the relevant equipment and facility used) and unit dose (by considering unit dose product contact points in manufacturing and packaging of other products). Appropriate Organisational and Technical controls should then be established. A matrix approach by worst case HBEL and common equipment is acceptable. Don’t initially make any assumptions about current controls that may be in place. Check them practically to ensure they are relevant and appropriate. List out all the potential opportunities for cross-contamination. You will need to go and look for and at these with a multidisciplinary team (Production, Engineering, QA, QC as a minimum). They will need to refer to building as well as equipment drawings and include observations at times production is in progress. Ensure that you look to an appropriate level of detail commensurate with the worst case HBEL for the area/equipment being assessed. Identify actions required to ensure controls are adequate in line with the permitted exposure. Ensure the QRM output provides a clear account and justification for controls identified. These will be reviewed on inspection. Keep the QRM live and review periodically. Although airborne contamination and other routes of contamination can occur, inspectors typically see the largest risk in most manufacturing facilities to be from contamination on product contact and adjacent surfaces through failure to clean equipment adequately. The experience of inspectors is that Cleaning Validation is often not supported by sound science and is not adequate for products with lower HBEL. Typical failures are not identifying all parts of equipment that need to be dismantled and failure to consider key variables such as manual cleaning as part of the validation process. Inspectors are seeing an increasing number of companies who complete cleaning validation and then inappropriately stop conducting sampling and analytical testing for subsequent product changeovers. In drawing a comparison to Process Validation, it would not be acceptable to stop finished product testing just because a process is validated (and this typically does not occur). As such, it is expected that there is analytical assessment at product changeover, supported by method validation and demonstrating adequate recovery. The only exception to this, as mentioned in Q&A7, is where following successful completion of Cleaning Validation (accounting for all process variables) visual inspection can be relied upon to determine the cleanliness of the equipment at the residue limit justified by the HBEL. This means that there has to be a safety factor applied between what level can be seen on the equipment and the level required to ensure the HBEL is not exceeded – thus a margin of safety is present. In order to meet this, a robust science-based visual threshold study would be required to show what can be seen at specific concentrations on representative surfaces. The safety factor is required to account for the relative ease of seeing contamination in a laboratory setting, in comparison to production setting with variable lighting, access conditions and people, etc involved. Develop cleaning methods to clean to the lowest practical standard, justified by the HBEL and within a threshold of visually clean. Retain traditional limits that have been successfully achieved and that take account of the aforementioned points. A matrix approach by products manufactured in common equipment (with common cleaning method/materials) is acceptable, but ensure this takes account of the permitted cleaning limits as well as solubility and cleanability. 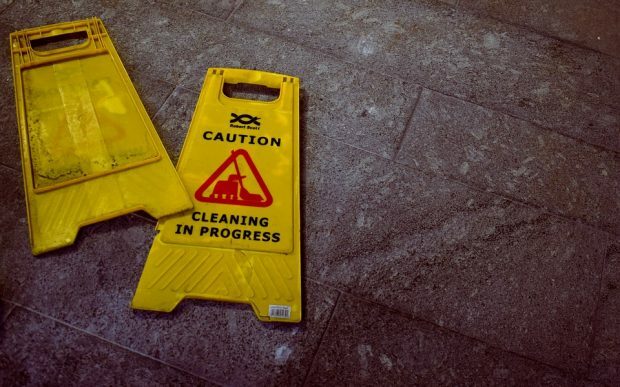 Three ‘batches’ are not regarded as a fixed requirement for validation, more than three clean downs may well be required to account for all variables such as manual cleaning by personnel. Ensure that before starting validation, the cleaning method is developed and areas of equipment to be dismantled for cleaning are identified (from the QRM exercise). Ensure that all analytical methods are validated and that sample recoveries are established, taking care that this process is supported by sound science to ensure that recoveries reflect actual recoveries from production equipment. Take account of the hold time of equipment prior to start of cleaning and the maximum length of the manufacturing campaign. Set the ongoing strategy for testing at product changeover in equipment following completion of validation. Set the ongoing frequency for re-assessment of cleaning capability. Ensure that any failures in cleaning by the Operators - if identified by the second person production visual check, by the QA/QC visual check, or by analytical testing - are recorded through a deviation type process. This would then allow the effectiveness of cleaning to be assessed during the re-assessment review or in real time if significant issues are occurring. Ensure that all relevant personnel are thoroughly trained and assessed as competent (by practical demonstration) for activities such as dismantling of equipment, cleaning of equipment, visual inspection, swab and rinse sampling. Cleaning validation should be risk based with a clear science-based justification recorded for the extent of the approach taken. Finally, a reminder that HBELs are not just for setting cleaning limits, they need to be an integral foundation of your risk managed control of cross-contamination. At the QP symposium in May 2017, it was the view of the MHRA that, until further clarification was received ,the need for HBELs would be confined to certain antibiotics, hormones, cytotoxics and highly potent drugs . Am I correct in believing that now HBELs should be established for all medicinal products ? In May 2017 MHRA would have provided a holding position while the Q&As were revised following public consultation. The published Q&As (Q&A 1) make it clear that HBELs should be established for all medicinal products and the blog explains the reasons for the change of approach.